WOW! 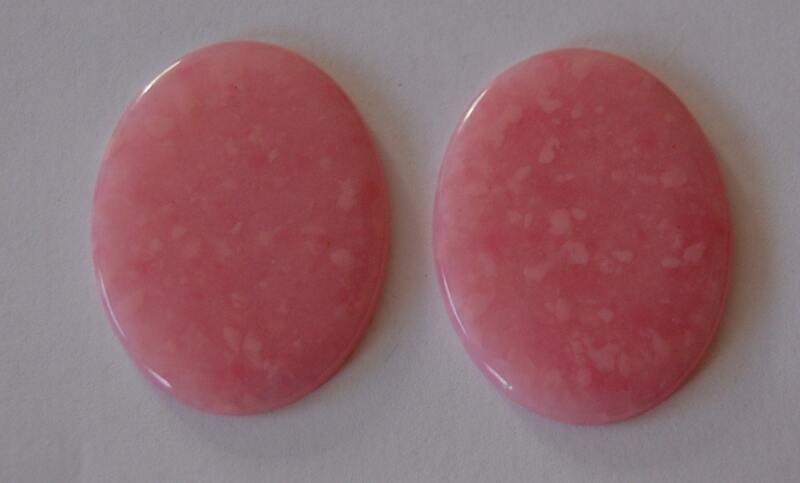 These are wonderful vintage lucite cabochons. 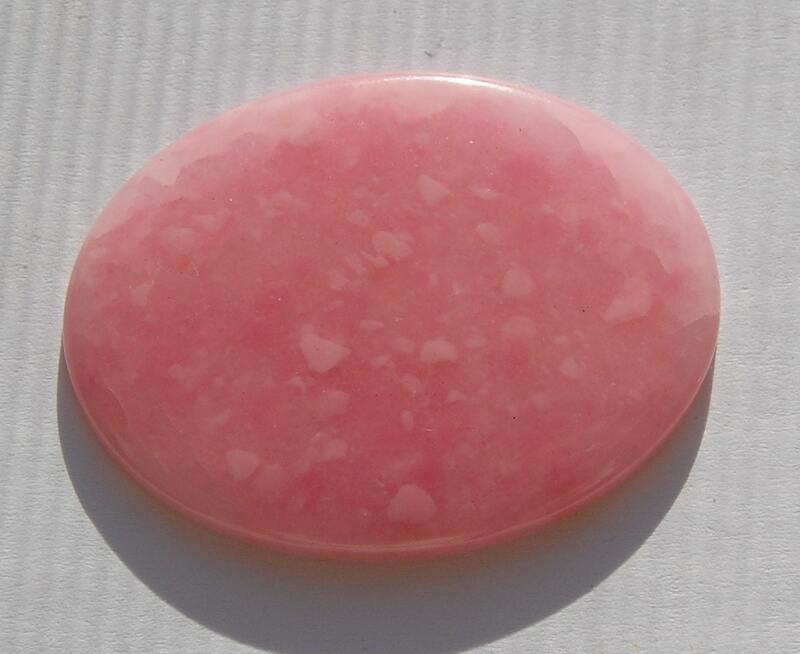 These are pretty and interesting enough to use on their own or they would be fabulous as a base to a smaller cab. 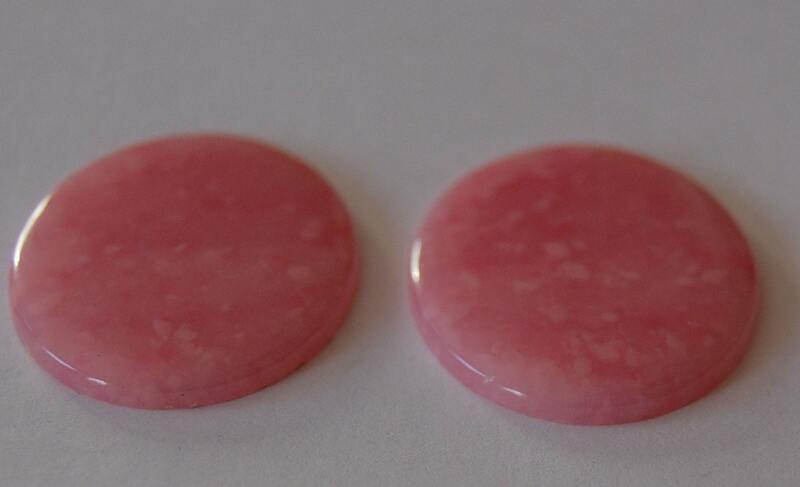 These are pink with "floating chunks" or darker pink and white. These measure 40mm X 30mm. You will receive 2 of these. Pretty ... THANK YOU ! Item was as described and arrived promptly! A great transaction and a quick delivery. Thanks.